The viral Game "Pokemon Go" is now all around the web . The Game is now available for Android and iOS devices .In Pokemon Go , Players start with Charmander, Bulbasaur, or Squirtle . But they can actually pick Pikachu instead ! 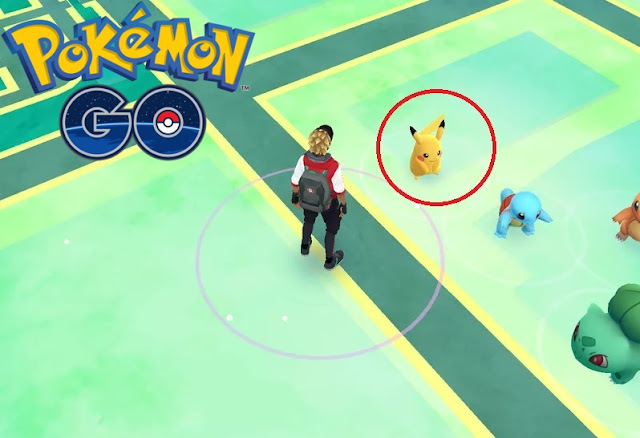 So , Here Goes the first secret Pokemon ( Pikachu ) in Pokemon GO ! Folks at Polygon found a way to catch Pikachu as a starter ! When Professor Willow tells you to go choose your starter Pokemon , Clicking on one will result in obtaining your first Pokemon . Just Don't click on any of the three ! Instead just keep moving ( walking away ) until the Three of the Pokemon disappears . Though , They will re-spawn again , but you have to keep doing it Four times . If you managed to ignore Charmander, Squirtle and Bulbasaur four times, they’ll come back with another friend ( Pikachu ) in tow. Just Try your best to catch the Electric Mouse .